Review –This is the 3 book in the series –From the Files of the Otherworld Enforcement Agency set in the Chicago police department. I must say that I did not read the other two books but I have put them on my TBR list in the future. 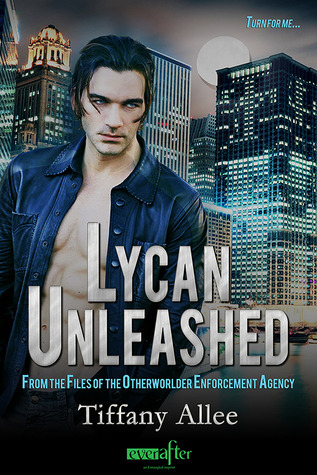 I enjoyed the story that takes place in Chicago after the others have joined the police force as the Chicago Paranormal Unit... Astrid is a sensitive working with the police solving cases and in this book her partner is a Lycan named Mason. There is real chemistry between the two characters as they solve the murders of vampires in Chicago. Is this murder a family power struggle or more is going on in the vampire community? Mason and Astrid find the answer to this and so much more. Mason and Astrid are great characters very likable even though they each bring their own baggage to the relationship. As a reader I found myself rooting for them and their relationship. My only complaint is the shortness of the book. After I finished I wanted more pages and information. Even though this book is short I give it a 4(a pack howl) and rate it Steamy.